Hello everyone! 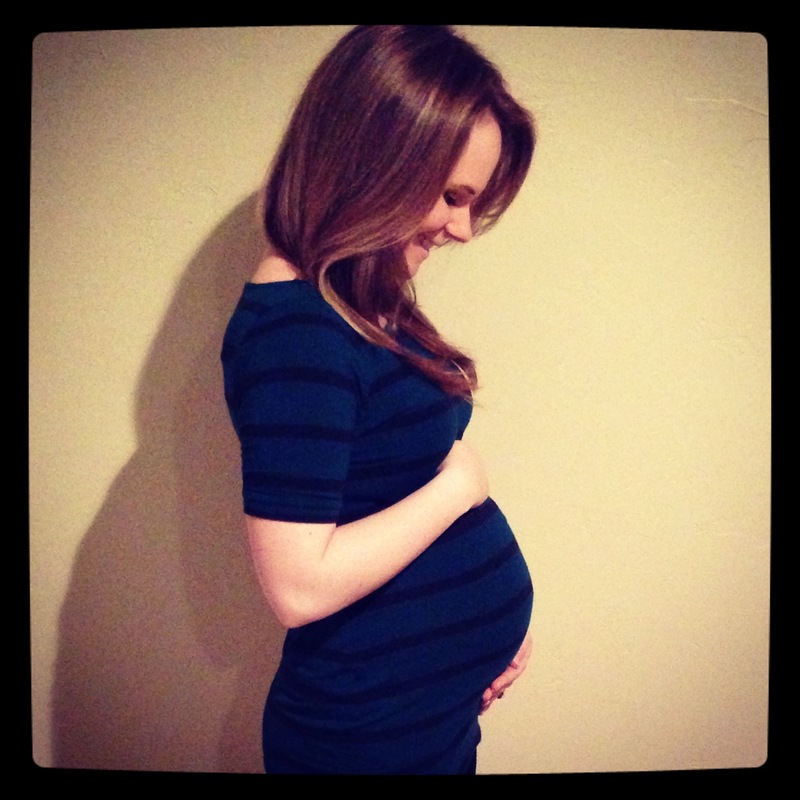 Today we are officially 6 months into the pregnancy – woohoo! This was taken last week. Apologies for the iPhone photo, I promise I will post a better one next time although I do love this one. The most common question I get is, “How are you feeling?” and I’ve been feeling great! I’m not especially exhausted, no headaches, no nausea anymore (knock on wood!) so all is good. I do tend to get out of breath easier when I’m climbing stairs or doing a lot of activity but I can’t complain. This has been such an amazing experience so far and it’s all worth it. I’ve been trying to join CJ at the gym once or twice a week to stay active and, the other days, I’ve been trying to make more of an effort to walk places to get some exercise in (shout out to my fitbit for keeping track of my step count!). I’ve been sleeping really well too but I have a feeling that will change once I’m further along, at least, that’s what I’ve heard from other moms. In the first trimester, when people would tell me that they loved being pregnant, I would think to myself, “How could you love being nauseas 24/7?? !” but now I understand. Everyone has a different experience, but for me, the nausea went away after the first trimester and I really have loved every minute of it since. My favorite part, above everything else, is feeling Baby T kick. It seriously is the coolest thing in the whole world especially when CJ can feel. Every week she gets a little bit stronger and we feel her on the outside more often. Now, once in a while, we can feel some body parts move past an area on my belly! I can’t even explain how cool it is and how happy it makes us. We already love her so much and can’t wait to meet her in a few short months. I definitely know I will miss feeling her kicks. For my birthday, we went to a 3D/4D ultrasound place and finally got to see her cute little face. It was so fun and the best gift ever! We might be biased but we think she is just absolutely adorable! We also got a cute little teddy bear with a recording of her heartbeat which will be really fun to show her as well as a few other goodies. I highly recommend doing that to anyone who’s expecting a little one. 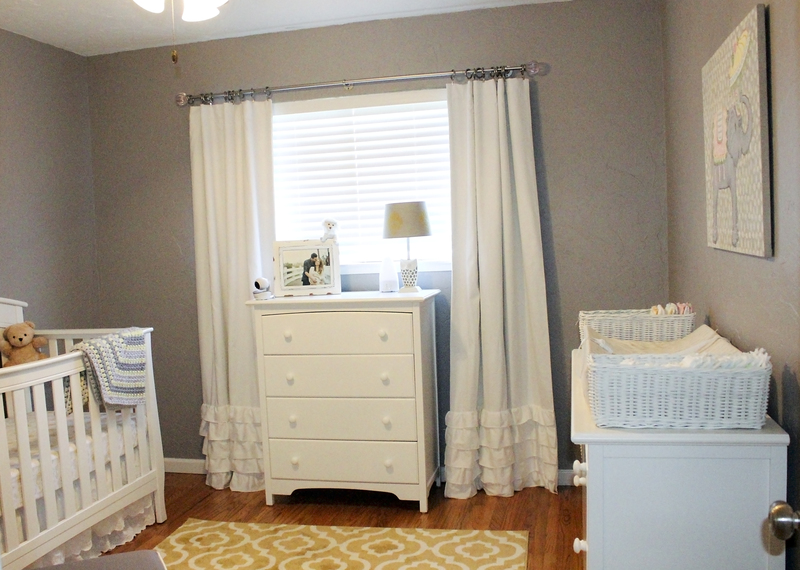 As far as how the nursery is coming along – we are slowly making progress. We got rid of all of the guest room furniture – we sold the bed and the nightstand to our friend and brought the dresser to my parent’s cabin in Arnold. We’re glad the furniture will be put to good use because they still have many years left in their lives. CJ painted a second coat of the wall color since we only did one coat when we first moved in and our uneven wall surface definitely needed a second coat to get all the spots we missed. Now, we’re working on getting the furniture and goodies to fill up the room. We’ve decided that we’re not going to reveal the room to anyone (other than ourselves obviously) until Baby T arrives. We thought it would be nice to keep that a surprise along with her name. 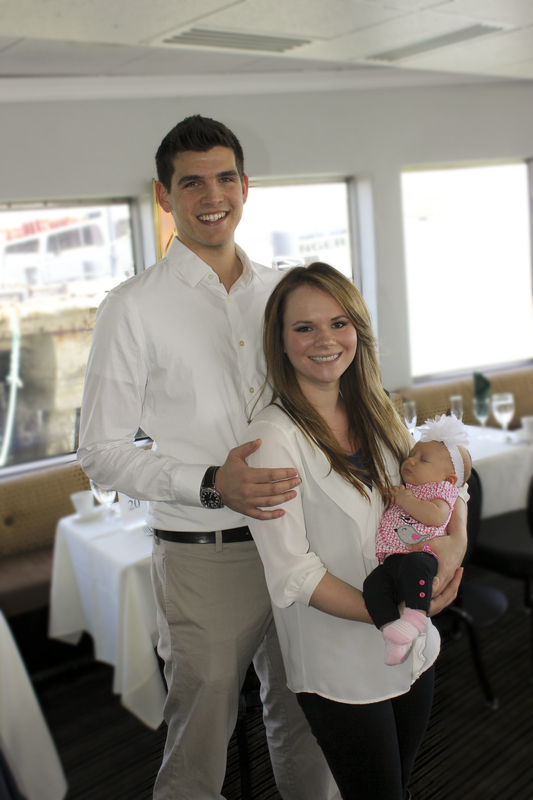 So, no photo updates will be posted on the blog or shared with anyone until after her arrival. We are really excited for what we have planned for the nursery and are excited to share the final result once she’s here. People are definitely noticing that I’m pregnant now when we’re out and about which is fun. I do get a little shy when people start asking questions because I’m not used to the attention but I still enjoy it. And luckily, no one has come up to rub my belly uninvited – success! I still think that’s the weirdest thing that people could do that without an invitation but, to each his/her own. And lastly, I’ve been asked if I’ve had any strange pregnancy cravings – not yet! The only pregnancy craving I’ve had is for clementines. Oh dear those little cuties are so incredibly delicious, I could eat an entire box of them if I had no self-control. Actually, I have to give most of that credit to CJ because he’s been looking out for me and making sure I haven’t been binge eating clementines. Luckily, they are a healthy craving! So, as I mentioned in our previous post, we’ve known about Baby T being on the way for several months now. In these past few months, we’ve mostly been reading books to learn about what to expect during the pregnancy and how to prepare for when the baby comes. But, a couple weeks ago, CJ and I were talking about how we’d like to decorate the nursery (what is currently the guest room) and I decided to start looking for some ideas online. I found a few cute ideas that went with what we were envisioning on Pinterest and decided to “pin” them. So, what are our plans, you might ask? The room is currently painted a light gray which is a nice neutral color so we are thinking about painting large white stripes on one of the walls as an accent wall. We might have the color scheme stay gray, yellow, and white. But we’re not sure yet, we want to wait to see if we are having a little boy or girl. 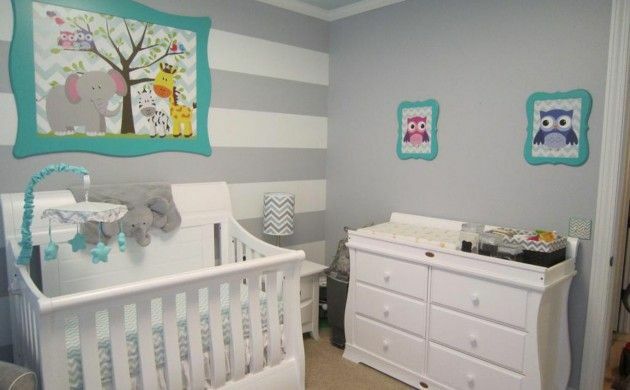 Nursery Idea #2 – Love the stripes. These are on all walls but still super cute. 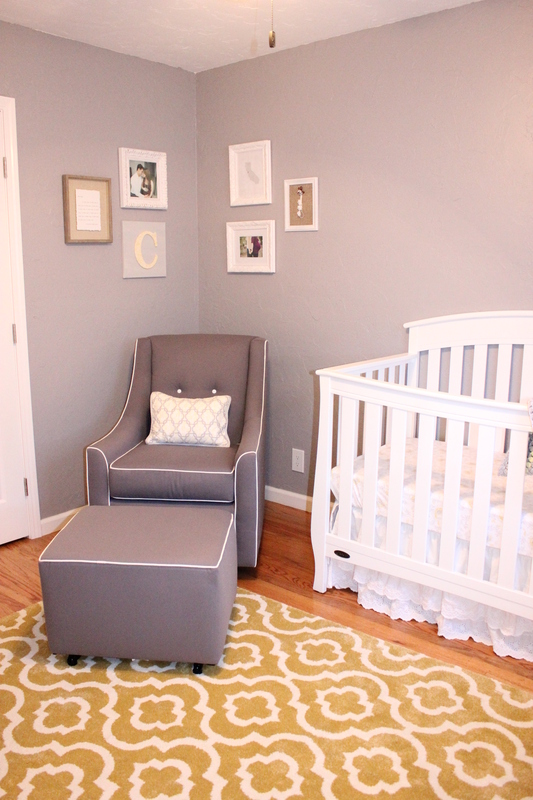 Nursery Idea #3 – Here’s closer to what we were thinking for the wall color. 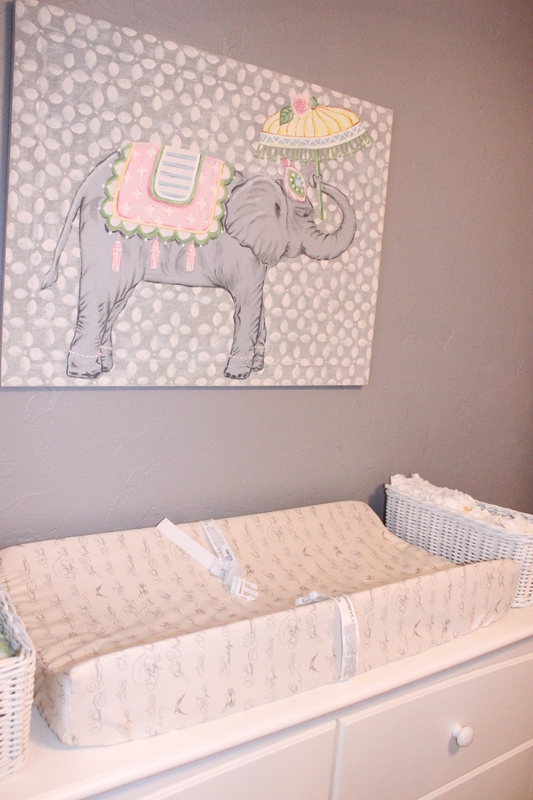 For all the moms out there, how did you decide how to decorate your nursery? We’re pretty excited to get started on the project but are planning on waiting until after the holidays.